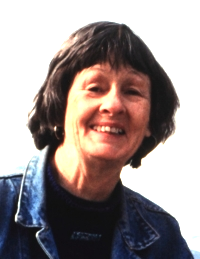 SAN FRANCISCO — Dorothy Anne Stroup, 85, passed away in San Francisco on March 8 after a lifetime of teaching, writing, activism and traveling the world. Born in Alamosa, Colo., in 1927, she attended high school there and graduated in 1949 from Colorado College in Colorado Springs. After a few years of teaching, then traveling in Europe and the Middle East, she joined the U.S. Information Service in 1954 and was posted to Tokyo, where she began her study of Japanese language and culture. In 1960, Stroup returned to Japan as a teacher at Hiroshima Women's College and High School. Hiroshima was still devastated by the 1945 atomic bombing and she began cultivating lifelong friendships with many survivors, soon becoming a committed anti-nuclear activist and a member of San Francisco-based Friends of Hibakusha. In 1993, Stroup traveled to Siberia to research a sequel (which remains unpublished) dealing with Japanese POWs held by the Soviet Union. Stroup narrated Steven Okazaki's 1991 Academy Award-winning documentary “Days of Waiting,” about artist Estelle Ishigo, a Caucasian who was interned with her Japanese American husband at Heart Mountain, Wyo., during World War II. In 1972, Stroup helped found the Berkeley Institute for the Study of English, where many Japanese students improved their English and were exposed to American culture. Later, the program was acquired by UC Berkeley. She spent many years teaching and writing in Berkeley, earned two master's degrees from UC, and was on campus during the 1964 free speech demonstrations. Her teaching career also included work at Skyline College in San Bruno. She published numerous short stories, and her travel articles appeared in The San Francisco Chronicle and The Contra Costa Times. Stroup bought her home in Berkeley in 1973, renting out the upstairs bedrooms to UC Berkeley grad students from all over the world. Her friends and family treasured the many dinners and celebrations at her home and she was a welcome guest wherever she traveled. She was preceded in death by her brother Richard Stroup and sister Barbara Young. She is survived by her longtime companion and travel partner Alan Geller, nieces Sarah Young and Elizabeth Sweeney, nephews David and Andrew Young, grand-niece Rachel Young, and many cousins and friends around the world. Memorial donations may be made to the Alzheimer’s Foundation of America. Services are pending.